BassDrive is a 24/7 drum and bass radio station featuring live shows with guest DJs, as well as broadcasts from venues all over the world representing the best of drum and bass & jungle music. 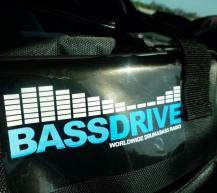 BassDrive is also a new record label promoting US drum and bass. BassDrive internet radio offers superior sound quality in comparison to other online drum n bass and techno radio stations. Please tune in by clicking one of the tune-in buttons in the top right corner. Please refer to our help section if you experience problems listening to our online radio.